Born in a conservative Marwari family, she was fascinated by the Khaki dress since her childhood, something that eventually motivated her to appear for the civil services examinations. During her childhood, she used to play with a toy gun and “put criminals behind bars”. Now, she is an IAS. 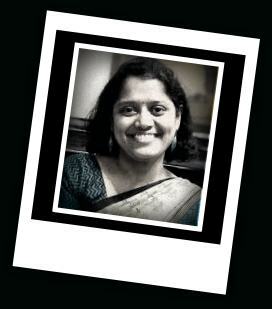 In fact, Ms Agarwal was the first woman graduate from her family, and of course, the first to be an IAS officer. While pursuing his chartered accountancy Garg did not have any college life as such. So, the academy in Mussoorie —LBSNAA— turned very special for him. LBSNAA became his first college, and his first hostel. And yes, he got the flavour of cultural parties and DJ nights held in LBSNAA, also for the first time. Hailing from a tiny village from Srikakulam district of Andhra Pradesh, Ronanki belonged to a family of farmers. Both his parents are illiterate. Even to attend his classes in the nearby high school, he had to walk eight kilometres one way, everyday. He first took up a job of a primary school teacher and pursued B.Sc from a distance education course. Till he reached Class 12, there was no electricity in his house. And no newspaper reaches his village even now. But he always dreamt big. After failing to clear the preliminary examinations, he continued his struggle. And in his fourth attempt, he surprised everyone — by securing all-India 3rd rank.